The Mile High City has transformed itself into an eclectic and cosmopolitan mix of neighborhoods with a culinary and artsy urban hub. 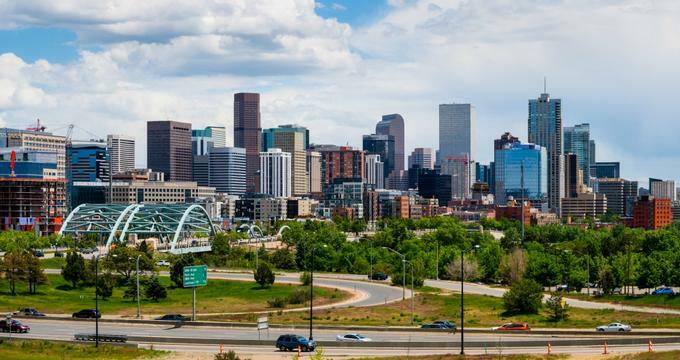 Visitors to Denver have an array of interesting places to stay, whether opting for a single night at an inn or spending a week-long vacation. 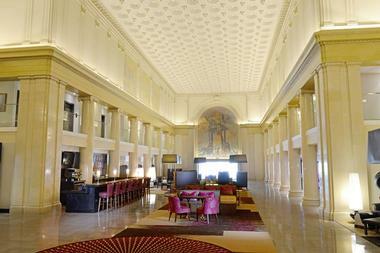 Train enthusiasts will enjoy visiting The Crawford Hotel located in Union Station. Designed to reflect the history of train transportation, each room has been uniquely fitted into the architectural spaces of the original depot and decorated with vintage touches. First-class amenities include complimentary access to the hotel’s spa and fitness center, discounts at the shops and restaurants in Union Station, and tours that take visitors back in time to the golden age of rail travel. Guests who appreciate modern conveniences like espresso makers, high-speed Wi-Fi, and courtesy transportation will be delighted to find these are supplied by the hotel as well. For over 125 years, the Brown Palace Hotel has provided quality accommodations to Denver tourists since first opening its doors in 1892. 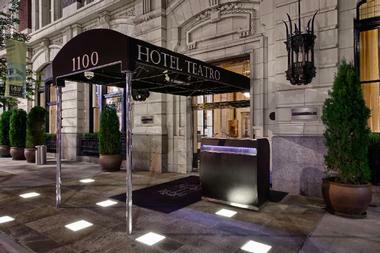 The iconic downtown Victorian-style hotel and spa boasts superb service, distinguished guest rooms, and lavish suites. Meanwhile, the spa caters to guests’ every need with a full list of treatments that include massages, hair care, manicures, and pedicures. The day wouldn’t be complete without a champagne brunch or traditional afternoon tea at one of the several restaurants located inside. The Brown Palace also hosts special holiday events and packages for an unforgettable seasonal celebration. Hotel Teatro is an award-winning, pet-friendly hotel that makes dogs feel as welcome as their owners. Canine-centered amenities include a “Pawdicure” at a nearby pet spa and a special partnership with a local certified canine massage therapist. Dogs stay free in the hotel’s luxurious rooms and suites and can share leftovers from their owner’s locally sourced meals at The Study, The Nickel, or from the 24-hour room service menu. Humans will enjoy the upscale amenities available to them as well. Thick mattresses, soaking tubs, rainforest shower heads, and plush bathrobes are just some of the many creature comforts to which guests of Hotel Teatro are treated during their stay. This Victorian-style bed and breakfast features antique beds and pedestal sinks, but doesn’t sacrifice modern conveniences like Wi-Fi, private hot tubs, and Sleep Number beds in select rooms. A complimentary gourmet breakfast, afternoon tea, and late-night chocolate chip cookies are included with each night’s stay. Four-course candlelight dinners, gourmet picnic baskets, and special holiday meals and themed teas are sure to delight foodies who stay at Castle Marne. The B&B’s reputation as a romantic destination makes it the perfect place for bridal showers, weddings, and honeymoons. 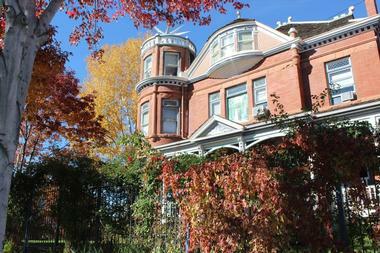 Located in the midst of City Park and Capitol Hill, it is near many of Denver’s must-see attractions. 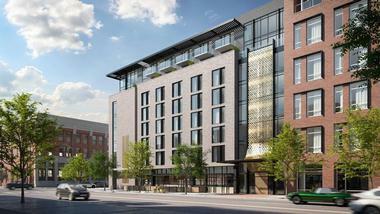 Baseball fans should not pass up the chance to stay at the Maven Hotel at Dairy Block. As the official hotel of the Colorado Rockies, guests get Colorado Craft Beer & Cracker Jacks for two and a $25 Colorado Rockies Gift Card when booking the hotel’s special Home Run Package. The contemporary minimalist design, surrounding art, and exposed lighting give the Maven a modern appeal. Meanwhile, the on-site dining establishment serves up authentic Southwestern cuisine. Guests can also kick back in the Poka Lola Social Club for craft cocktails and local beers and wines. The spacious ballroom also provides the perfect venue for weddings and events. 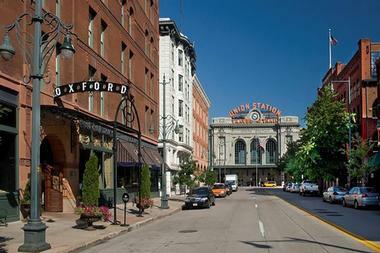 Situated within minutes of all of Denver’s attractions, the Kimpton Hotel Born is located at Union Station in the revitalized LoDo neighborhood, which features some of the city’s best galleries, restaurants, and shops. The hotel also provides complimentary rides to venues outside of walking distance. 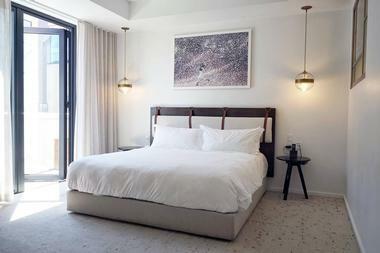 Visitors pay competitive rates to stay at this chic boutique hotel with modern rooms that come equipped with floor-to-ceiling windows with alpine views and walls adorned with contemporary art. The adjacent restaurant, Tavernetta, dishes up Italian cuisine while the nearby Citizen Rail cooks wood-fired fare. Their indoor and outdoor spaces provide the perfect setting for weddings and events with gorgeous mountain views. 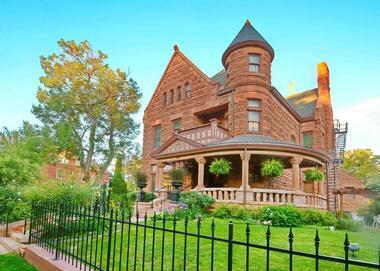 North Denver’s Potter-Highlands neighborhood is home to the historic Lumber Baron Bed and Breakfast. In keeping with the Victorian style of the mansion, the ceilings in each individually decorated room and suite are adorned with Victorian wallpaper reproductions by Bradbury & Bradbury. The innkeepers serve a hot Scottish breakfast to their guests daily to honor the mansion’s original owner, John Mouat, an authentic Scottish lumber baron. The historical ambience of the building hasn’t prevented the owners from including up-to-date amenities in each room and suite, however, and all of the accommodations include complimentary high-speed Wi-Fi and high-definition televisions. 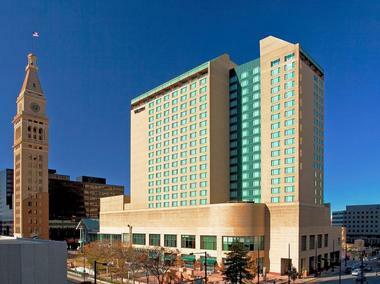 Part of the Renaissance Hotel chain, the Denver Downtown City Center location is a great place to do business. Within walking distance to the convention center, the hotel offers a slate of executive services, including overnight package delivery, wired and wireless internet access, a fax machine, and network printers. A valet dry cleaning service can have your suit cleaned and pressed in time for a morning meeting in one of the bank vaults, which the hotel has converted into meeting and event spaces. Meeting concierges are available to make sure everything is covered, from equipment needs to room reservations to custom menus. 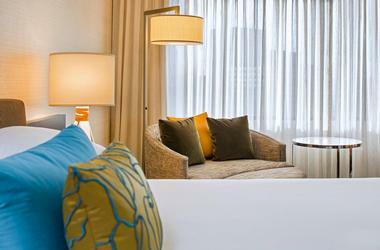 A stay at the ART is a must for art lovers visiting the Mile High City. Art is everywhere in this contemporary hotel. There are two on-site galleries, displays in every hallway, and curated pieces in each elegant guest room and suite. Kinetic sculptures, computerized light installations, tapestries, and photographs are some of the many gems that can be found in this amazing in-house collection. Even the food at the FIRE restaurant is a work of art. Fusion fare made from locally sourced ingredients is served in FIRE’s intimate setting overlooking the streets of Denver’s Golden Triangle Creative District. The Four Seasons is a family-friendly hotel conveniently located near the Elitch Gardens Amusement Park, the Pepsi Center, the Sports Authority Field, the Children’s Museum of Denver, and the city’s zoo and aquarium. Kid-size bathrobes are provided, and parents can request special sleeping accommodations for infants and small children. Rooms can be equipped with a Nintendo Wii, and a library of video games is available for gamers of all ages. Children can choose from a special menu of in-room dining options, or the concierge can recommend local restaurants that cater to those who prefer chicken nuggets over caviar. 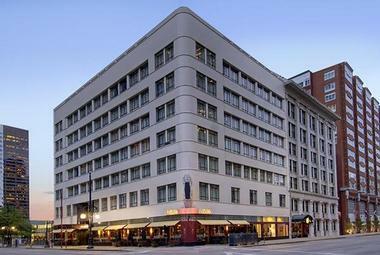 First opened in 1892, the historic Oxford Hotel Denver offers a luxury-style setting at an affordable rate. 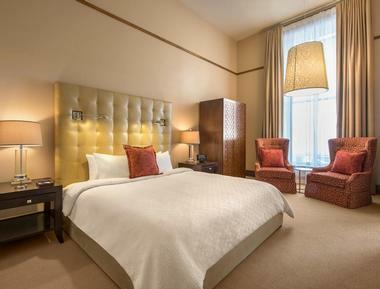 Visitors enjoy a boutique hotel in an ideal location, especially those in town on business or for a conference. Minutes away, 16th Street has plenty of shops and restaurants. In the evening, the Oxford Hotel has the unique opportunity for guests to sit by the fireplace and enjoy a nightly bourbon tasting. The friendly staff makes this an especially comfortable stay, standing by around the clock to assist in any way. In addition, the hotel also houses a fitness room, spa, and events venue. 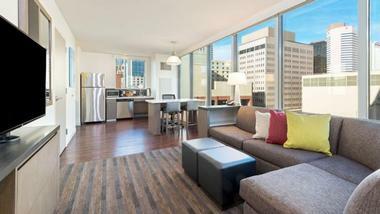 The contemporary HALCYON Cherry Creek provides visitors with a true Colorado experience. A stay at HALCYON comes with unique amenities such as access to the gear garage full of their choice of Piaggio scooters, New Belgium cruiser bikes, hamboards, Kota longboards, Leica cameras, and vinyl records. The hotel even throws in adventure kits complete with binoculars, a Swiss army knife, a GoPro, and bottled water. In the entrance of the hotel, guests can mingle or grab a bite to eat from the Kitchen Counter. 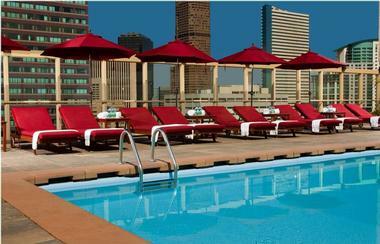 The hotel also has a rooftop deck pool with gorgeous views of the city. 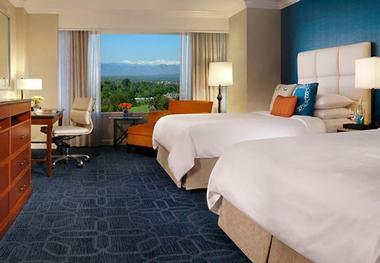 Those seeking the five-star experience should look no further than the Ritz-Carlton Denver. Spacious rooms come fully equipped with luxury amenities such as chocolates on the bed, bathrobes, marble bath tubs, and views of the surrounding city and mountains. The hotel contains an upscale steakhouse in the lobby serving breakfast, lunch, and dinner. Guests enjoy complimentary access to the hotel’s fitness center with new equipment and studios for spinning, Pilates, yoga, and workout classes. The on-site spa and salon provide the perfect place to rejuvenate with a massage, facial, body wrap, facial, manicure, or pedicure. The Ritz also accommodates wedding parties. 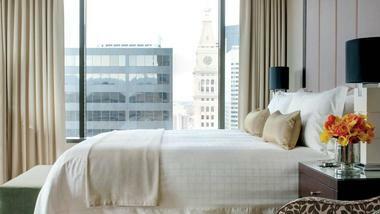 Conveniently located in downtown Denver, the Kimpton Hotel Monaco puts guests smack dab in the middle of it all. Sports spectators can easily access the Denver stadiums on game day, and the nearby Denver Convention Center hosts all kinds of events from comic cons to beer festivals. At the hotel itself, the Panzano restaurant satisfies the appetites of hungry travelers with contemporary Italian cuisine. The hotel also throws in complimentary coffee and tea service each morning along with a free reception of wine and beer in the evenings. The playful, yet sophisticated decor in the hotel rooms blend Western charm with a funky urban style, perfect for a visit to Colorado. 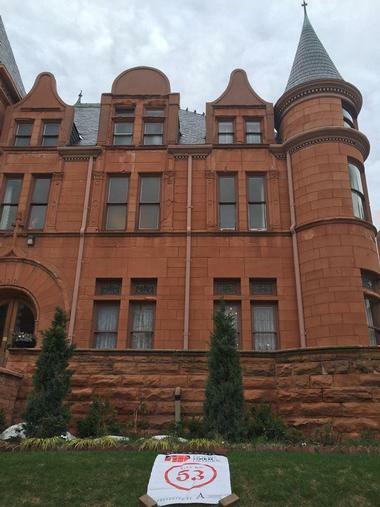 The Patterson Historic Inn has nine themed luxury suites with private bathrooms and custom features like the DaVinci’s sunroom and private outdoor patio or the Prague’s steam shower and clawfoot tub. An on-site pub and a luxuriously appointed reading room make the mansion a relaxing place from which to explore the Mile High City. Leisure travelers will find plenty of activities and attractions nearby, including world-class restaurants and museums, the Denver Botanic Gardens, and Denver Zoo. Guests mixing business with pleasure will appreciate the available meeting and event space and the inn’s proximity to the convention center. 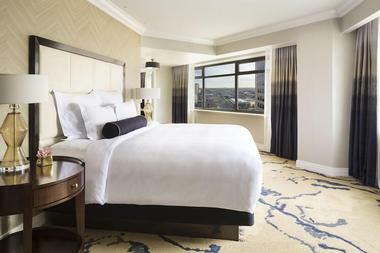 The JW Marriott Denver Cherry Creek provides that quintessential Western experience with its rustic yet modern decor and panoramic views of the Rocky Mountains. Between the valet, concierge, and room service, customers enjoy first-class service during their stay. Situated in the ideal location, the JW Marriott Denver gives guests easy access to Denver’s best attractions including the Coors Field, Denver Zoo, Denver Art Museum, and Cherry Creek Shopping Center along with plenty of restaurants, breweries, and golf courses nearby. The hotel’s Social Fare Denver Dining + Drinks will satisfy the hunger of busy sightseers, while their spa offers a full list of services and treatments. 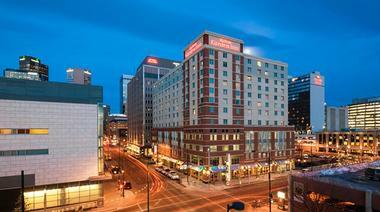 Situated near the 16th Street Mall, the Grand Hyatt Denver is located right in the most bustling part of town, making it easy to get to restaurants, bars, sporting events, and entertainment venues. This large hotel boasts over 500 elegant rooms, and visitors enjoy a variety of premium amenities like a heated indoor pool, rooftop fitness center, outdoor jogging track, tennis court, and shuffleboard. The hotel’s reception venue reveals breathtaking views of the Rocky Mountain Front Range that are perfect for a dream wedding. Nearby ski resorts, museums, shops, and sporting venues keep guests entertained all throughout their stay. Top-Rated Weekend Getaways Near Me: Golden, CO Elevation, Zip Line Colorado, Where to stay near Rocky Mountain N.P. The Hyatt House Denver makes an excellent accommodation for travelers on business or leisure and those planning to relocate to the Mile High City. The residential style rooms accommodate extended stays and come complete with an in-suite kitchen. The centrally located Hyatt House Denver puts guests right in the middle of it all, with easy access to all of the city’s best attractions. 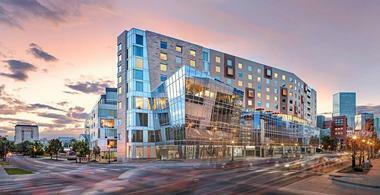 Business travelers in town for a conference can walk to the nearby Denver Convention Center. This award-winning hotel offers a full list of amenities, including a complimentary breakfast with an omelet bar and bar service in the Lobby Lounge. Hyatt House is a pet-friendly hotel. The Hilton Garden Inn in Downtown Denver gives visitors sweeping views of the Rockies and the skyline. Built with convenience in mind, the hotel is centrally located to some of the most popular city spots, including an outdoor mall and the Colorado Convention Center. For families visiting students at the Metropolitan State College or UC Denver Campus, the hotel is only a few blocks away. For sports enthusiasts, the hotel is within walking distance to many games, whether you are seeing the Nuggets, Avalanche, or Rockies teams. The location isn’t the only reason this hotel might be the most convenient in the city. Hilton Garden Inn also offers guests in-room Keurig coffee makers, complimentary Wi-Fi, and a business center that’s open around the clock. Located in the bustling LoDo neighborhood in downtown Denver, the Westin Denver is a great spot for visitors to tour the city on foot. The historic neighborhood, which boasts beautiful Victorian architecture and a variety of trendy boutiques and eateries, has plenty to explore. 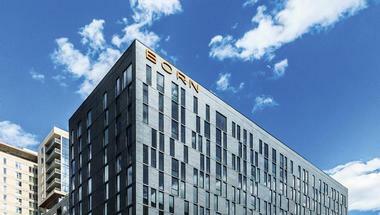 The hotel offers guests a rooftop pool deck, an in-room spa, and a fitness center. Companies can make their next meeting memorable by choosing the hotel’s rooftop meeting space overlooking the mountainous landscape. Visitors can also opt to explore the locally owned shops and restaurants with their pet, as dogs are welcome in the hotel. 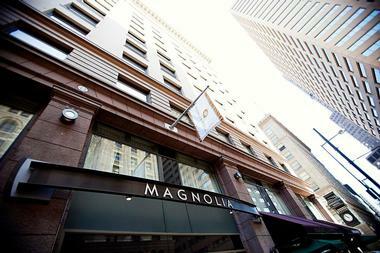 In a location that was once dubbed the “Wall Street of the West”, the Magnolia Hotel in downtown has been artfully restored to its original architecture, built more than a century ago. Located within steps of a variety of entertainment venues, including the Coors Field, Mile High Stadium, and the Pepsi Center, the hotel is convenient for sport fans, music lovers, and visitors looking to catch a show. The hotel offers event professionals to help visitors plan business meetings in one of the nine meeting spaces available at the location. For large events, the Magnolia Ballroom can accommodate up to 220 guests. The hotel’s exceptional catering menus can turn events into memorable experiences. For a truly urban experience amongst Colorado’s breathtaking scenery, the Warwick Denver, located in the Uptown neighborhood, features a variety of luxurious amenities, a walkable location, and cabin-like décor throughout. The hotel’s breakfast in bed options are a great way to start the day before adventuring. Inspired by modern Colorado cuisine, the hotel’s premier restaurant, Randolph’s, is a great setting to unwind with a glass of wine after shopping or watching a hockey game. The restaurant is also a superb event space for small weddings. The hotel’s Millennium Ballroom, located on the 15th floor and showcasing Denver’s beautiful cityscape, can handle larger affairs. Aloft Hotels are known for their boutique vibes, casual atmosphere, and cocktail bars that infuse local flavor. 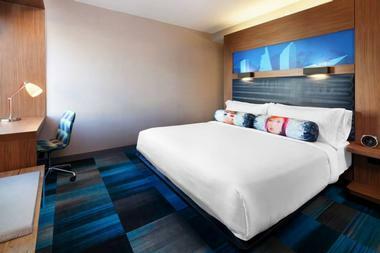 The Aloft Denver Downtown, with its W XYZ bar and pool tables, caters to people who want to have a good time. Guests can spend Tuesday nights dancing to live music at the hotel’s W XYZ Night Out events without ever leaving the hotel. For the environmentally conscious, the hotel offers the option to forgo housekeeping services with its Green Initiatives program. The hotel’s fun decor is the perfect place to throw a bridal shower, holiday party, or bachelorette party.